A friend of mine recently introduced me to an awesome fashion company that designs and manufactures clothing in their own sustainable factory in downtown L.A. The company is called Reformation. They source sustainable fabrics and vintage pieces, use renewable energy, have a heat-reflecting rooftop, and all of their packaging is 100% recyclable! It’s essential to highlight companies like this because fashion is the third most polluting industry in the world, consuming 1 trillion gallons of water, 33 trillion gallons of oil, and 20 billion pounds of chemicals annually. I had to support this company so I purchased my first piece last week. The piece I purchased is the Helen Top. It is made from Tencel which is made from biodegradable, renewable, and sustainably harvested wood pulp. 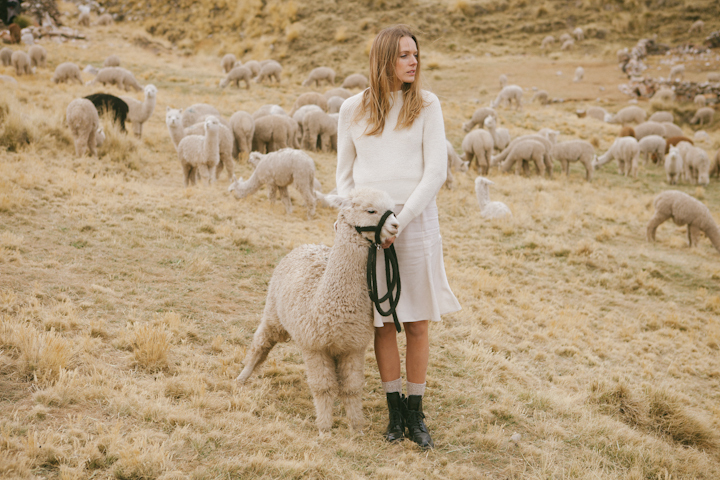 Reformation also sources Alpaca yarns from a small, family-owned farm in the Peruvian highlands, and then they make the sweaters in the L.A. factory. ← All things green at The Green Living Show!